You are looking at a set of BRAND NEW, ORIGINAL, STILL SEALED IN WRAP Japanese Drama box set. Japanese Languages with Traditional/Simplified Chinese/English/Malay Selectable Subtitle. *Traditional/Simplified Chinese/English/Malay Subtitle can be switched off. It is off by default unless you turn it on. BRIEF SUMMARY: This summer fate, love, and screams pend over an everlasting ocean in this dramatic recreation of the tale of the YAMATO. 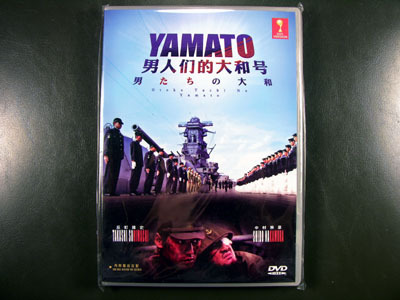 An old fisherman is invited to raise the famous battleship Yamato from the place it sank a mysterious woman. When he finds the ship, he's reminded of the hope he felt during the war when he had a trip on the Yamato.